Participants in the Summer Swim Team & Off-Season Training programs will focus on proper technique, sportsmanship and fair play in a positive and encouraging environment. Swimmers will also get the opportunity to learn water polo and lifesaving sport techniques. Pre-requisite: Has completed swimmer 5. Able to swim 50m Freestyle, 50m Backstroke, has some concept of whip kick and dolphin kick. New to summer swimming. Swimmers 10 years and under. Able to follow activation coaches instruction. Pre-requisite: Able to dive into the pool, attempt all 4 strokes, swim 5-8 minutes continuous, follow the coach’s directions and have a good understanding of practice structure. Should have some idea of swim team structure (been on swim team previously). Understanding of lane etiquette and practice structure. Able to follow warm up independently. Can attempt all stroke turns. Able to carry out some activation activities independently. a dive start legally. Able to complete poolside activation with minimal guidance covering activities to increase heart rate, mobilize key joints for swimming and strengthening activities and understands the purpose and value of these activities. Get ready for the Summer Swim Team competition season by training in the off-season. The 2018-2019 Off-Season Training for Summer Swim Team runs from September 10th-June 16th. Start and end dates may vary slightly depending on group. Further details will be communicated by the coach. Annual Program fees cover coaching; a training schedule which may include dryland, yoga, swimming, water polo and lifesaving sport training; equipment costs and Swim Nova Scotia fees. 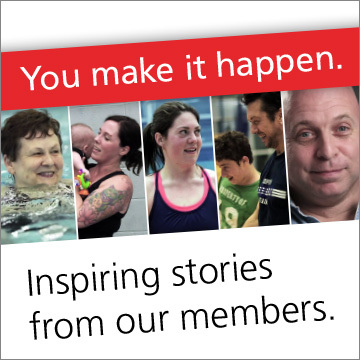 Also, annual Swim Academy participants in the Summer Swim Team Off-Season Training program receive a 12-month Canada Games Centre membership. PLEASE NOTE: As the Summer Swim Team competition season starts in the summer months – registration and fees for the competition season will occur in the spring. The Year Round Swim Team is an annual program that trains and competes September to June, whereas the Summer Swim Team is only eligible to compete during the summer season, but offers off-season training for the rest of the year.